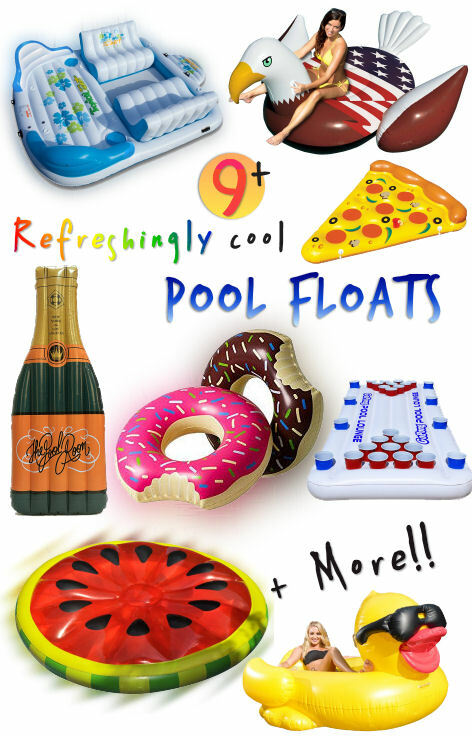 Awesome Pool Floats to Kick off your Summer & Beat the Heat! Whether you're cooling off in your own pool or at the beach – Be the hit of any party this summer with these awesome pool floats! This entry was posted in Gift Guides, Summer and tagged awesome pool floats, Beach Floats, Champagne Pool Float, duck pool float, Eagle Pool Float, Floats, Fruit Pool Float, giant pool floats, Pool Floats, Pool Toys, Summer, Summer Floats, summer pool floats, Swan Pool Float.